Chef Brandon Kida of L.A.'s Hinoki and the Bird has created something magnificent. And you can make it at home. Not all fried rices are created equal. While most of us are familiar with light and fluffy Chinese-style fried rice, chef Brandon Kida’s is grounded with bone marrow. Each morsel of rice glistens with just the right amount of butter, while tangy pickled eggplant cuts through the fat. The dish bursts with umami from the dark soy sauce and guanciale—barely perceptible in the final presentation—and an otherwise heavy meal is brightened with confetti of basil, chives and sorrel. Kida is the chef at Los Angeles’s Hinoki and the Bird, a hotspot that consistently makes The Hollywood Reporter’s Power Lunch list. The restaurant is located right by Fox and a handful of entertainment companies, so odds are you’re going to be sitting next to an agent repping Kate Hudson or Tim Robbins—both of whom have been spotted here, as well. You might come for the industry lunch, but you’ll stay for the food. Kida has cooked behind the stoves at haute French icons like Lutèce in New York City, now closed after almost a half-century run. 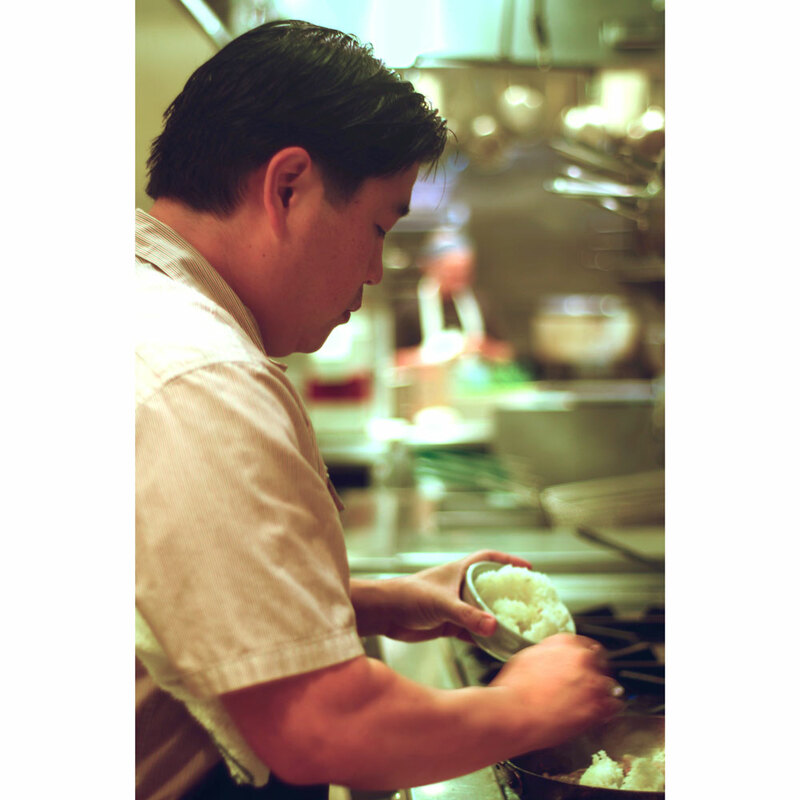 He brings this French execution—butter as a base, for example, instead of sesame oil—to Southeast Asian flavors. His crab fried rice was inspired by his travels to Singapore, where he tasted black-pepper crab. “The pepper really is the backbone of this dish,” he says. “When you sauté the pepper, it gets really floral.” Using crushed pepper, as opposed to ground or whole, can completely transform the dish, according to Kida. While his food is inspired by travels abroad, the concept is grounded with a Southern California sensibility. “When eating this, you should feel like you’re sitting here, in the sunlight, in Los Angeles, on a warm afternoon, on this patio,” he tells us, on a still warm October day. That’s why, in this dish, he uses jalapeño and Dungeness crab, a West Coast product. The result is memories of Singapore—or dreams to travel there—filtered through flavors of California’s Pacific. Preparing Kida's black pepper crab rice with bone marrow at home is surprisingly easy. With a pan on high heat, sauté guanciale, garlic, ginger and jalapeño until the garlic and ginger have turned golden brown. Then throw in butter, crab meat, a hit of soy sauce, cooked rice, salt, dashi and two tablespoons of diced raw bone marrow. 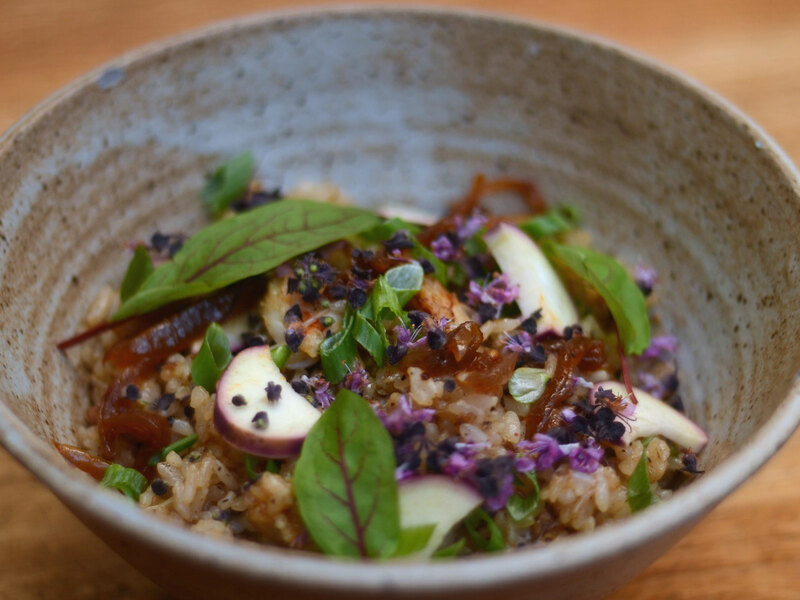 Once the rice gets glossy from the bone marrow, Kida tops the dish with quick-pickled eggplant, but in a pinch, you can keep it simple with caramalized shallots, scallions and herbs.